Whether you spend your day driving your kids around town, or you spend it hopping from meeting to meeting we all need extra fuel to get around! We are constantly being swayed by blogs, television shows, lifestyle magazines, and even our friends are weighing in on our dietary decisions. Could it be that we are in a fog of wanting the newest, trendiest things? Don’t get me wrong, I like seaweed “chips”, chia seeds, and kale, but maybe while we are shopping for the latest spirulina infused coconut water we can pick up a few oldie but goodies! While almonds have been the front runner for the past few years in the nut world, cashew lovers have enjoyed their lower price. Not to talk bad about his nut brother, but cashews are softer and an easy sell to the kids than almonds. If you take a walk down the bulk aisle at any health food store you will see in the midst of the almonds and peanuts the delicious cashew. 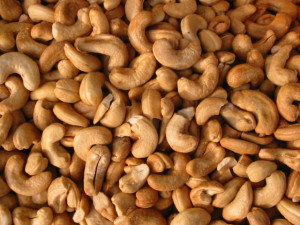 Cashews are a great source of antioxidants, and can help with those mid afternoon potato chip cravings! Who needs dental and vision insurance when you have carrots?! While we were all told as kids to eat these hard orange root vegetables, they have become so common that they are “forgettable”. There are so many ways you can buy these at your grocery store- sliced, julienned, and cute little baby carrots. You can eat them raw, cooked, plain, or dip them in your favorite dip (maybe even that hummus we mentioned earlier!) 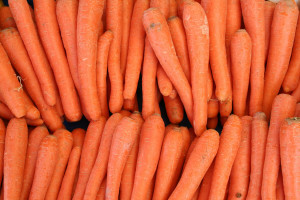 While a beta-carotine diet has been shown that it may play a role in protecting against certain cancers, carrots also contain potassium, manganese, magnesium, folate ,vitamin K, vitamin E, fiber, phosphorous, and zinc. 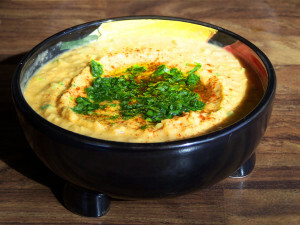 While an avid vegetarian may have this as a staple, hummus still isn’t a typical household snack, but why? Not only is this amazing dip part of the Mediterranean Diet, but it may reduce your cholesterol, your risk of cancer, and your waist line! Not only can you buy hummus in individual packs now, but it’s great on a pita, a piece of toast, or on a slice of red pepper. It’s incredibly easy to make (if you don’t want the grocery store variety), comes in many different flavors, and once you tell your kids it’s “bean dip” they will be sure to love it too! Yes, Apples. When you go to a health food store the more exotic fruits and vegetables stay at the forefront of the produce section. The apples are usually in dark back corner. Sure, the bakers make their way through, but why don’t we think about it as a snack anymore? Apples are pretty much one of the easiest things you can take with you ANYWHERE. They don’t need to be refrigerated, they don’t take up too much space, they can fit in your car’s cup holder, and they are amazingly inexpensive! 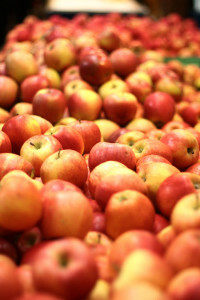 Apples may help reduce the risk of some cancers and also have an amazing amount of fiber! We probably all got these in our lunch box at some point growing up, and we also probably tried to trade them for some sort of pudding at some point as well. Well, if the last time you had raisins you were carrying around a lunch box it may be time to try them again. 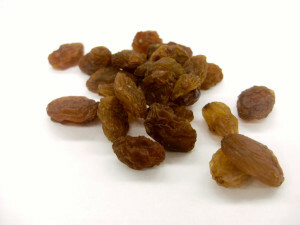 Raisins are packed with antioxidants, may help reduce your risk of chronic disease, and are a great source of fiber! Since they are dried, you don’t need to eat as much, and they have a sweet taste to them which may help with a mid-day sweet attack. Low in calories, easily packable, and no refrigeration needed! Have you ever started eating a bag of chips to look down and find you’ve eaten the whole bag? Sometimes, we just seriously want to snack. With tomatoes you can totally do that. With about 100 calories in 3.5 cups you’re looking at some major snacking time with little regret! 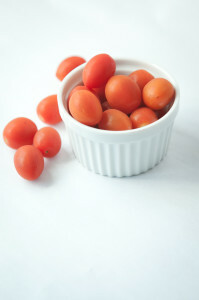 They are a good source of lycopene, dietary fiber, and may help promote good heart health.